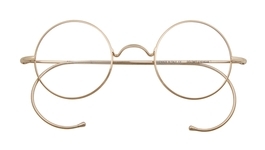 Our next most popular round frames are the Panto 8 (which is not a true round), which has a "panto" shape, round at the bottom and flat at the top. Also, the K1396 which is a smaller variation on that theme, and the DM8 in metal. In round plastics, we have the K1410, and also the K957, which is a small round frame. 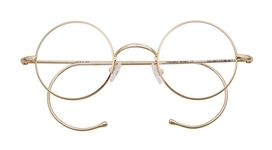 For those of us that like rimless designs, check out the Core 1 and the Core 2 models, will different types of temples supporting a perfectly round pair of lenses. We also love the K1530 which is a metal panto design. If you are looking for a smaller lens, either for style or because you have a strong prescription, we feature the RC5 in round, and also the DM7 in a small oval. Both are available in skull or cable temples. 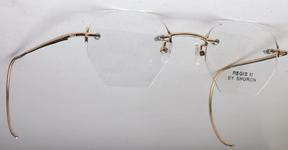 The Dolomiti collection also offers matching sunglass clips for the round shapes. 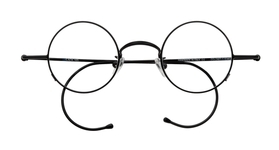 For round eyeglasses in plastic, we also recommend the Anglo American round eyeglasses. 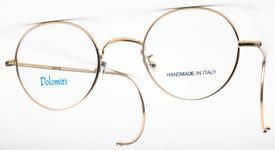 Anglo American eyewear is made in Europe with top quality materials and our customers love them. The most famous of the Anglo American models are the AA400 (perfectly round) and the AA406 (panto, almost round). Other standout perfectly round models include the Oakley Madman OX5085, and the Anglo American Groucho. 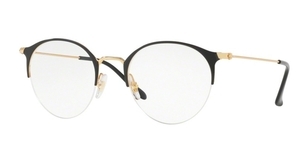 In the panto almost round category, our best sellers include the Jones New York J516, the Ray Ban RX3447 (which can be made into eyeglasses), and the Ray Ban RX2180V. The Eyeglasses.com round eyeglasses collection is unsurpassed in the world for the size and breadth of high quality round eyewear.